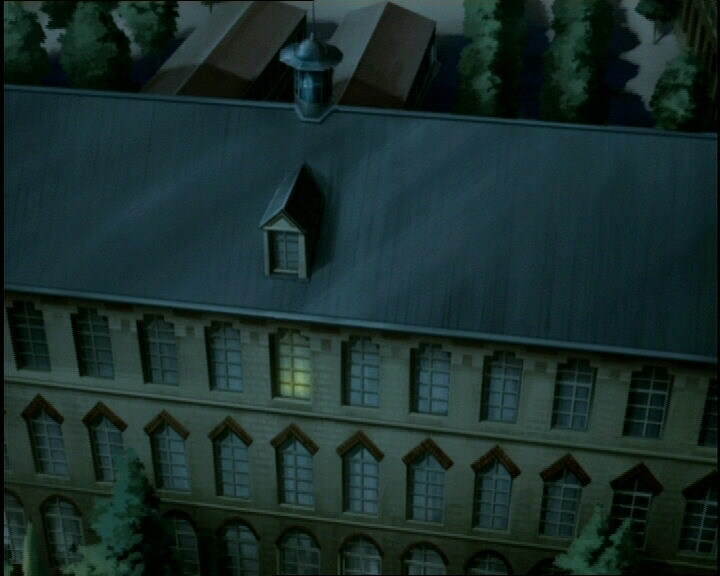 It’s night time, but in the factory the lights remain on. Aelita and Jeremy are working hard, while Odd distracts himself with a ball. Sitting against the wall, Ulrich and Yumi sleep, serene. The objective of this meeting: the creation of a virtual submarine capable of diving into the Digital Sea. The first phase of creation is finished and the construction is launched. The virtualisation of the Skidbladnir occurs in a new room in the northern end of Sector 5, programmed specifically by Aelita. The pre-launch agitation wakes Yumi who casts a tender look at Ulrich before recovering when he too wakes. It’s late and the heroes need to go back to school while the program gets to work! They need to be back at the factory at 4 in the afternoon the next day to launch a program which will create the core of the Skidbladnir. If they are absent, the vessel will fail and the project will go under. To make sure everything is perfected, Aelita and Jeremy meet in the boy’s room, to check the details…fatal error, as Jim catches them! The next day, the principal gives them detention for the entire afternoon! All their plans likely to fail, the heroes discuss it during Ms Kensington’s class. 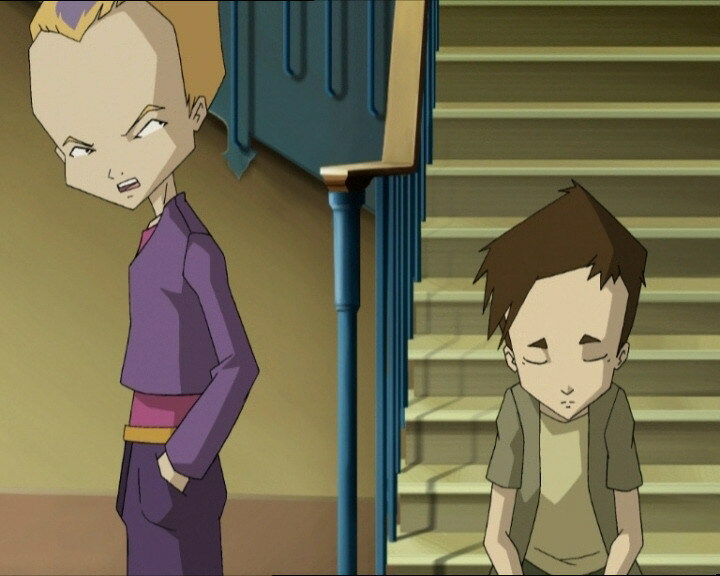 They propose that Aelita and Jeremy escape by faking food poisoning. In a turn of bad luck, Jim sits at their table to make sure they won’t be late to the library. Odd tries to trick Jim into thinking he’s won the lotto to get him off campus, but it doesn’t work, the teacher thwarts the scheme and leads Jeremy and Aelita to the library. Odd comes up with a new strategy to distract him: simulate a mouse attack. Total fiasco…total failure! Still stuck in the library, Jeremy’s laptop sounds: Creepers are attacking the submarine through the labyrinth, and William arrives with three Mantas to lend a hand through the Celestial Dome. Aelita doesn’t have time to finish her SOS XANA message, Jim catches her by surprise and confiscates their phones! With help from the sun and its reflection off his watch, Jeremy communicates to Yumi (through the window) to make her understand! 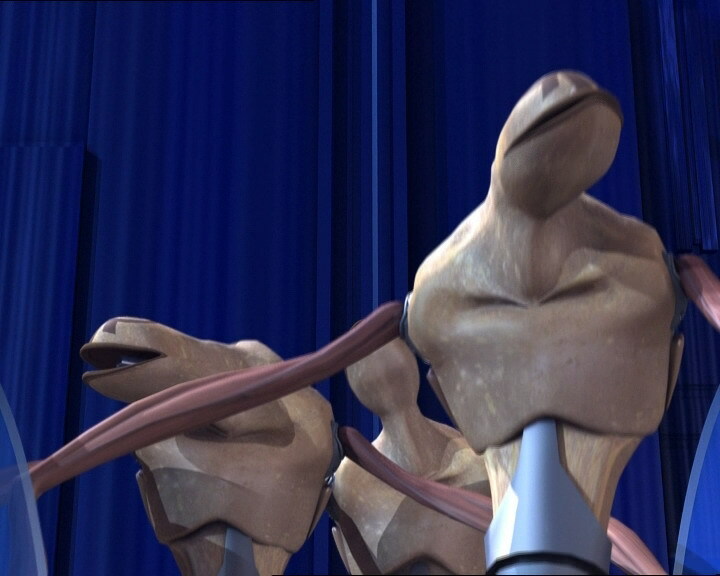 The trio of original Lyoko Warriors rush to the factory. The problem is that Yumi needs to try once more to virtualise her comrades! Luckily, Aelita distracts Jim, feigning total admiration for the teacher’s stories, gaining his complete attention. Jeremy assists Yumi via his laptop. The combination doesn’t work long however, as the principal walks by and confiscates the laptop. Odd and Ulrich are alone…facing six monsters and William…more dangerous than the six monsters or him alone! The enemies have their eyes fixed on the submarine and bombard its shields! Odd moves under the platforms and attacks the Creepers. Not far from him, Ulrich confronts William. The fight begins to turn in their favour, but it's difficult. William fights fiercely, but Ulrich defends himself well. The adversaries exchange slashes and kicks. Ulrich loses a sabre but still fares well! William gets mad and unleashes more and more violent blows. Odd works at the Mantas and Creepers. Ulrich is cornered, he asks for Yumi’s help! Said girl, against all odds, calls Hiroki to help! Evidently Hiroki refuses. Nonetheless, pushed by Johnny and promised that Yumi will do his homework for a month, he accepts. After telling Johnny he has no chance with his sister against Ulrich, he heads to Kadic…and puts Kiwi in the study room! The effect is immediate, Jim jumps up in pursuit! Aelita and Jeremy don’t ask questions, they just run to the factory. 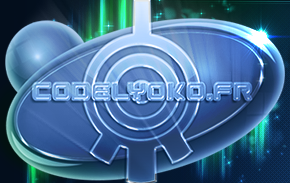 Waiting for reinforcements, the battle continues on Lyoko. Odd performs admirably in the face of the enemy, Ulrich manages to disarm William. Thinking he can deliver a final blow, he runs to attack the XANA Warrior and is caught off-guard by a kick which would have hurt very, very badly had he been on Earth! Disarmed, he retrieves one of his sabres which he’d lost earlier and hits William on the shoulder. Jeremy’s arrival allows him to get both his sabres back. 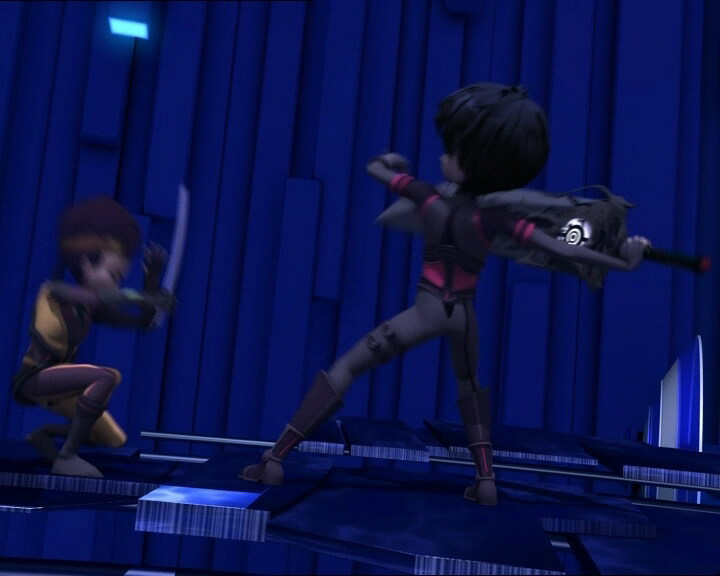 Aelita and Yumi are virtualised into the fray. William doesn’t give up. He disarms Ulrich! 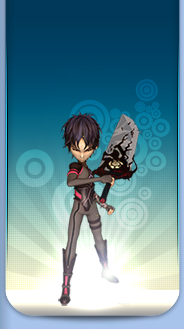 Raising his zweihander, he’s suddenly disarmed by one of Yumi’s fans hitting his hand…the Lyoko Warriors have arrived! Odd doesn’t have the time to celebrate; he kills the last Manta but is surprised by William’s Black Manta and is devitualised! Following the example of his beast, William blocks Ulrich’s charge, takes one of his sabres and impales it in his stomach…William has once again beaten his rival! Yumi throws one of her two fans, William blocks them with his huge sword. Preparing a final attack, he raises his weapon. Aelita then generates an enormous energy field and throws it at his torso. William is devirtualised in the form of black and red smoke. The heroes meet back at the Hermitage to choose a name for the ship. The codename Melanie chosen by Odd doesn’t seem appropriate. Aelita takes a book from the shelf which her father used to read to her when she was little. There’s a story about a legendary divine Viking ship…the Skidbladnir. The submarine is christened! Now the only thing to worry about is Jeremy and Aelita’s punishment! No worries! Jim is still running about the park trying to catch Kiwi! - Creation of the Skid, the virtual vessel capable of exploring the Digital Sea. 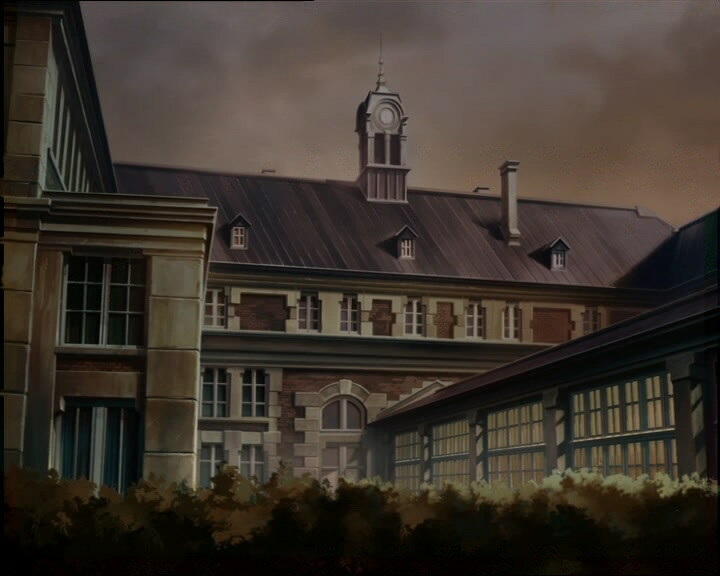 - Aelita created a room in the north pole of Sector 5 which acts as the hangar for the Skidbladnir! They access it through the labyrinth with a lift or through the Celestial Dome through a big entrance (which is how the Skid leaves). - First appearance of Hiroki’s new outfit. - New allusion to Aelita’s past memories: her father used to read her “Viking Legends” when she was five. - First time one of the heroes (Aelita) manages to devirtualise William. - Third time someone other than Ulrich uses his sabre. - Hiroki and Yumi learnt Morse code to talk in secret without their parents knowing. - Odd crushed on a girl in Yumi’s year called Melanie. - Jim reveals a little bit more of his past! He was a maths teacher in the tropics, having to survive in the jungle armed with a lighter and a nail file. He seemed to have been a military fighter pilot and had to jump out of his plane in the middle of a storm in the North Atlantic! Note that he doesn’t buy lottery tickets. - Aelita’s phone is black and the antenna is on the right when Jim confiscates it. - The length of the back of Ms Kengsington’s vest changes. - First time fog is visible on Earth, around the factory and in Kadic’s park! - First time in the series in which the title screen image is the Skidblandnir. - Second time along with episode 65 “Final Round” that the Creepers charge their laser. Also the first time one of them is resistant to a laser arrow! - Third episode along with episodes 11 “Plagued” and 19 “Frontier” in which Yumi virtualises her comrades. Ulrich makes an allusion to these previous times. - One of two episodes (excluding Evolution) in which Aelita charges a mega energy field, the other being episode 92, “Cold Sweat,” when she’s attacking the Kolossus. - Odd has Jim’s phone number. 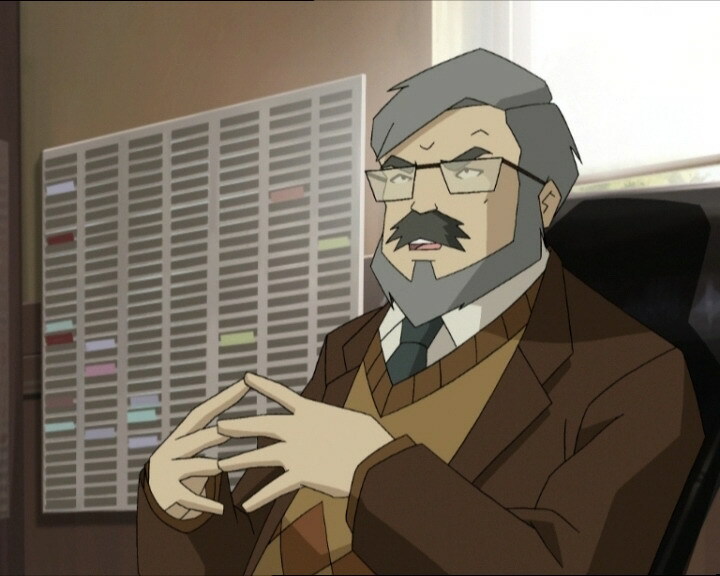 - Yumi refers to the episode “Frontier” in which she virtualised Jeremy and it went terribly wrong. - Johnny and Hiroki black Babylon Ninja Fighter 5. 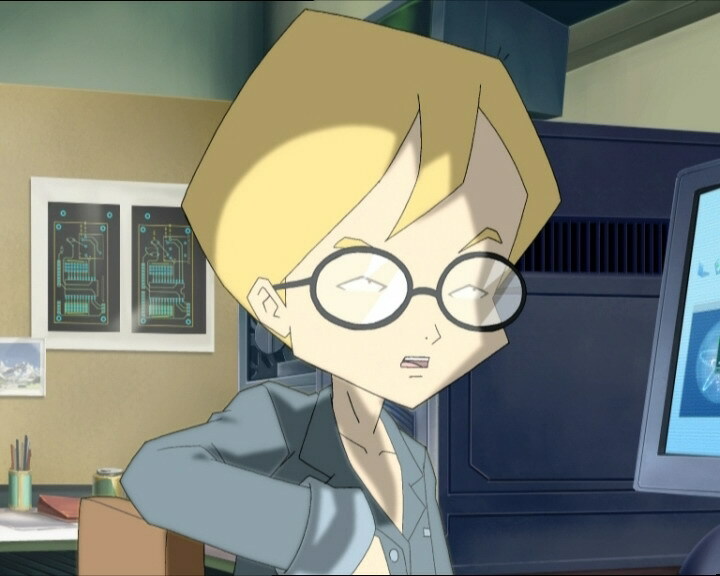 In “XANA Awakens Part 1,” Odd makes an allusion to number 3 of the game upon arriving on Lyoko! - Jim: " You ought to know that the girls have to stay upstairs, which is their floor, and they’re not allowed downstairs, where the boys are down here!" Jim makes an allusion to one of his long speeches in episode 48, “Is Anybody Out There?”. The correct phrase is “Divide and conquer”. - William Shakespeare (1564-1616) was an English poet, playwright and writer, probably the most well-known. Renowned for his ability to master all kinds of genres and languages! A number of his pieces are known worldwide! Odd: That’s all we needed, XANA’s Air Force! Reference to the Royal Air Force (RAF) of the United Kingdom. The Morse alphabet, or Morse code, is a code that allows messages to be sent as a series of long and short pulses. Odd: Shh! You don’t wanna wake up our sleeping beauties! Yumi: Hey, what’s that room? It’s new to me! Jeremy: It’s new to everyone! Aelita just programmed it into the core zone. We’ll use it as a sort of hangar for our sub. Odd: We’ve got to christen it, give it a name! Jeremy: Odd, you don’t christen a ship until the building is over, that’s when it gets its real name. But nothing says we can’t give it a codename! Odd: Good idea! Why don’t we call her…Melanie? 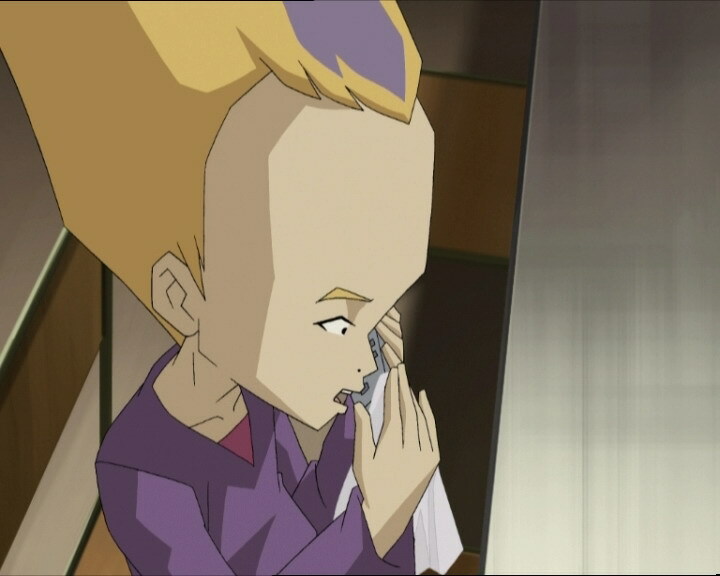 Aelita: Melanie? You mean like that redhead you’re so mad about? Ulrich: You have a crush on a girl who reminds you of a submarine? Jim (bursting into Jeremy’s room): BELPOIS! What are you doing here?! Jeremy: Uh…I’m…this is my room! Jim: Huh? I…uh…I know that! As I was saying…Miss Stones! What are you doing in here?! Jim: You ought to know that the girls have to stay upstairs, which is their floor, and they’re not allowed downstairs, where the boys are down here! And so tomorrow, you can repeat word for word what I just said about downstairs and upstairs to the principal! Mr Delmas: Well since you like to study so much, you’ll be glad to know that that’s what you’ll do in the library for the entire afternoon. Jeremy: This is a disaster! If we’re not back in the factory by 4 sharp it’s so long Melanie! Ulrich: So what are you doing to do? 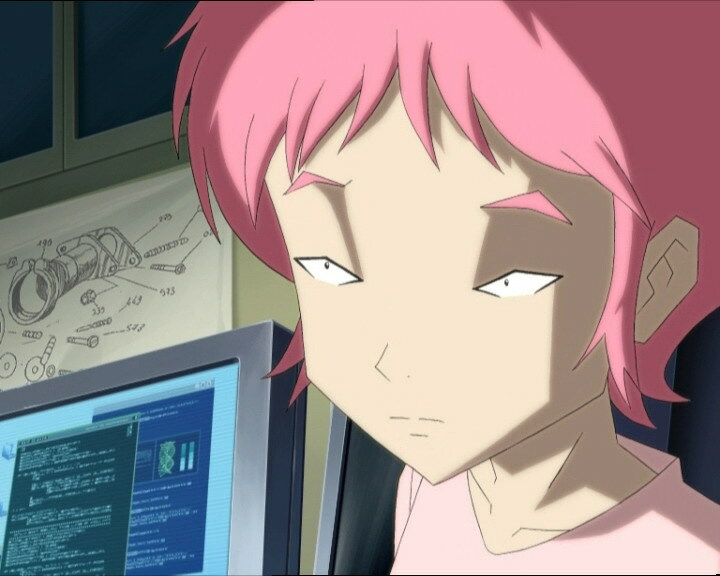 Aelita: Skip out, no matter what the consequences are. Odd: What? You can’t do that! If you leave the library they’ll throw you out of school for sure! Jeremy: We absolutely need the submarine to travel through the network. Ulrich: But if you guys get expelled, how do we fight XANA? Odd: I have an idea! Ms Kensington: Yes, Odd? We’re listening. What do you find so much more interesting thank Shakespeare? Ulrich: Actually, Melanie as a codename is pretty lame. Odd: You could just tell Jim you’re in the infirmary because what you ate didn’t agree with you! Jeremy: Huh? (to Aelita) You think that might work? Aelita: What’s on the menu for lunch? Jeremy: Oh yeah, it’s bound to work. Jim: And that was when I had to bail out, in the middle of a big storm over the North Atlantic. Well, I made it, but then I realised I wasn’t going to get back in time for dinner! Jim: Yeah, Jim Morales speaki- oh! Um, would you repeat that? What? I won the lottery?! HOORAY! AHAHAHA! Deformed voice of Odd: Absolutely! But if you don’t come to claim your prize immediately, we’re sorry, but it’s going to be given to the runner-up! Jim: Hey, just a second…I’ve never bought a lottery ticket in my life! Deformed voice of Odd: Uh…really? Are you sure? Uhh…you wouldn’t…by any chance have a twin brother or something who could’ve bought one…? Jim: Della Robbia! You’re the one who’s gonna wish he had a twin brother to do the detention I’m gonna give you! Odd: Red alert! Red alert! Ms Hertz’ mice have escaped from the lab! They’re taking over the whole school! We have to catch them right now! Jim: Do you really wanna know what has to be caught, Della Robbia? An idiot in a purple outfit and a dumb, ridiculous haircut! And who’s going to be in big trouble if he and his toy mouse don’t get out of here pronto! Odd: Ridiculous? My haircut? I bet you’re jealous, huh? Jim: Now look, I was not born yesterday so don’t think you can fool me. Whatever game you wanna play, remember I can beat you at it! Odd: You mean his message wasn’t clear? Yumi: Well, your bright ideas working out? Yumi: Let me have a look. Yumi: Come on, it’s simple! Concentrate! Yumi: It’s Morse code, turkey! Odd: Morse code turkey? Sounds pretty scrumptious! Yumi: No time to lose, we’ve got to get to the factory. The message ended with the word “William”! 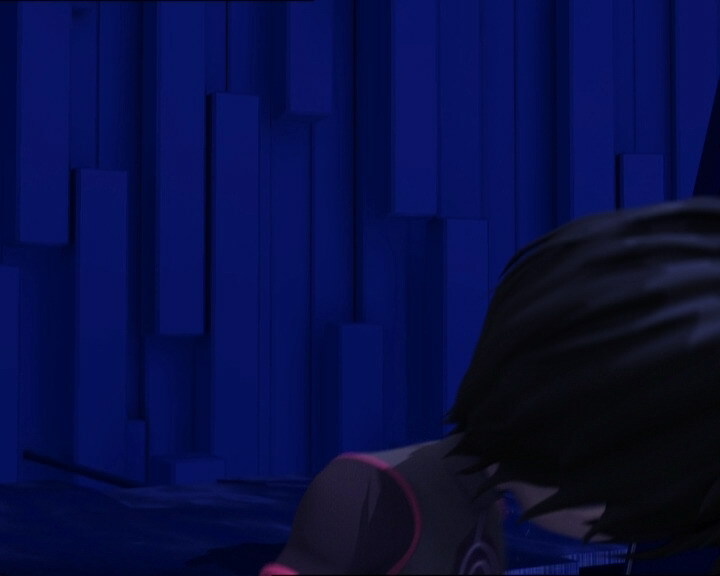 Aelita: Uh, Jim? Is it true you were a math teacher in the tropics? Aelita: I can’t figure out what the square of the hypotenuse could be. Could you help me, please? Jim: Yeah, but…uh…it’s not all that easy because, um…in the tropics, uh, the hypopotenuse is, um, is what is variable! Aelita: Yeah! Because of the heat! Hahaha! Ulrich: You can do it, Yumi, I have faith in you. Jim: Now we’d even say that the hypothermia of the hypopotanuse depends on the hyperactivity of the…nuse. Aelita: Oh! Who would’ve thought? You know what? You’re a walking encyclopaedia, Jim! Jim: Well, you see, Aelita, when you’re out there all alone in the tropical jungle with nothing more than a cigarette lighter, if you don’t know all you need to know, zap! You’re dead meat! Aelita: Wooow! Haha! You’re incredible! Odd: And try not to mix things up because I don’t want to find myself with my arms where my legs should be and my nose in my navel! Can you imagine that? Odd: Two arms, two legs, one head, one tail…all present and accounted for! Mr Delmas: Bravo for your surveillance, Jim! Jeremy: No, please, Sir! You can’t do that! You see, I must have my computer, it’s urgent! Mr Delmas: Vital? Ridiculous! Would you like to know what’s vital? Listen! It’s vital to be aware that there is no-one in life who can go unpunished for being disobedient! Ulrich: Yo big shot, wanna mix it up a little? Jeremy: Jim, if you let us go now we promise to do double detention, starting tomorrow! Or...w-or...or triple! We’ll do triple detention for a whole week, ok?! Johnny: Hold on, she’s so cool! Come on, let’s give her a little help! Hiroki: If you let me get to level 5 first! Hiroki, You got it, sis, but on one condition: you do my homework for a month. Yumi: You’re a real crook, Hiroki, but ok. And make it fast! Johnny: Hey, don’t forget to tell her it was me who convinced you to change your mind! Hiroki: Yeah, sure...but I already told you, you’ve got no chance against Ulrich. Jim: Huh? What’s going on around here? Oh, I get it, the mouse didn’t work so now it’s a mechanical dog. Pretty good imitation, Della Robbia! Jim: But...hey, it’s the real thing! A mangy mutt! Hey! 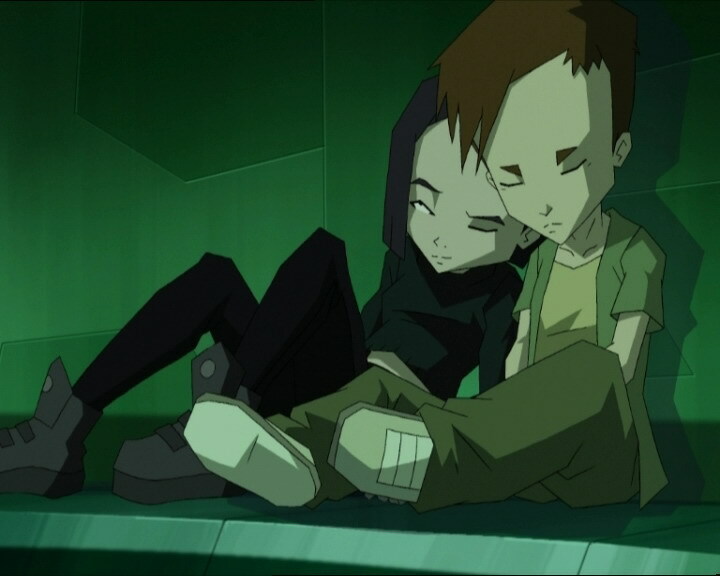 (to Jeremy and Aelita) Stay where you are! (he runs out the door after Kiwi) Get back here! Odd: They’re just like sitting ducks! Uh, sitting Creepers, that is! Ulrich: You’re not gonna win, William! Better let your master know! Yumi: It’s always nice to feel needed, isn’t it? Odd: Oh, wow! Close call for Melanie, huh? Jeremy: Well, for a ship that’s gonna hunt down XANA on the network, we need a name that’s got some punch, don’t you think? Like, um...Nautilus for example! Odd: Hm! That’s very original! Aelita: My father used to read this book to me when I was five. Jeremy: “Viking Gods and Legends”? Aelita: Look at that! It was a mythical toll ship which could sail on land, and it always reached its destination, no matter what kind of wind was blowing. Yumi: I like that name! Ulrich: Yeah, I like it too! Jeremy: Ok! Our new ship’s name is now Skidbladnir!